Is a three-storey high building really necessary for a restaurant? At Hi! Joyful, it definitely matters. 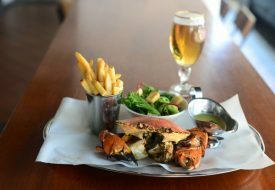 While the star of the show is undoubtedly its massive seafood platter (we’ll get to that in a bit), the restaurant offers a memorable dining experience, be it for a birthday celebration or an intimate date night out. 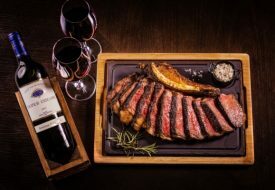 First garnering fame in China, the three-story restaurant boasts a conducive setting where the dining arrangement is carefully thought-out to ensure the comfort and privacy for each and every guest. The pirate-themed interior of the first floor could be the tell tale sign of the fun dining experience one can expect when at Hi! Joyful. Ascending to the second floor where old school gaming consoles are located may have sealed the deal, if not for the large-scale karaoke system on the third floor that truly hits the nail on the head. Complete with a flat screen television set, the entertainment section even has an elevated stage for diners to go up and perform a musical number. 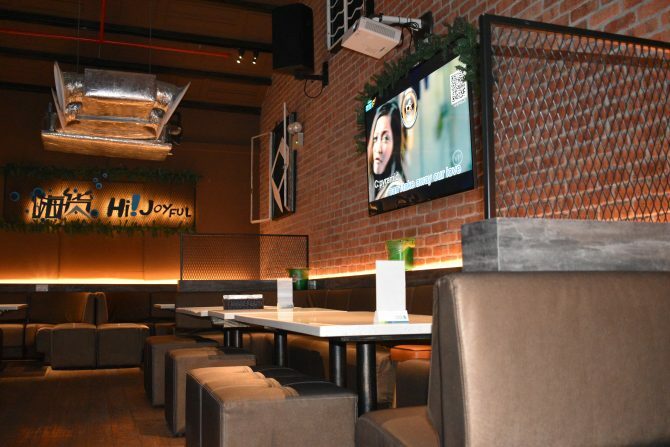 For sustenance to last you through the fun and entertainment, look to the legendary Hi! Joyful Seafood Platter ($138). 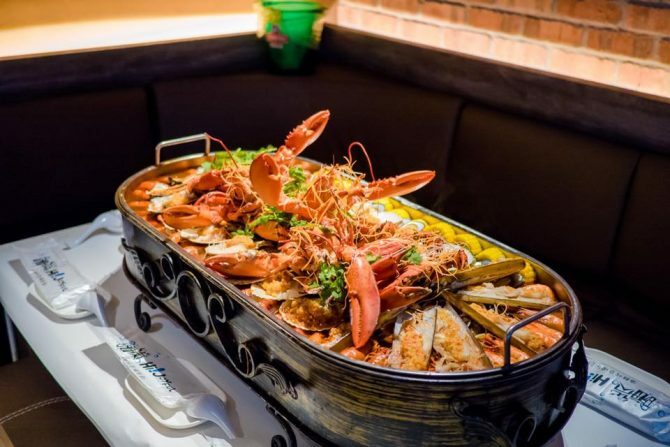 Feeding up to three people, the platter is assembled with a base of beancurd skin, black fungus, corn cobs, lotus root slices and mushrooms, before lined with an extensive seafood selection of steamed crawfish, prawns, crabs, mussels, clams and lobsters. The icing on the cake is the generous dousing of mala broth for that spicy kick. The seafood entirety is a feast not only for the eyes, but also for our bellies. 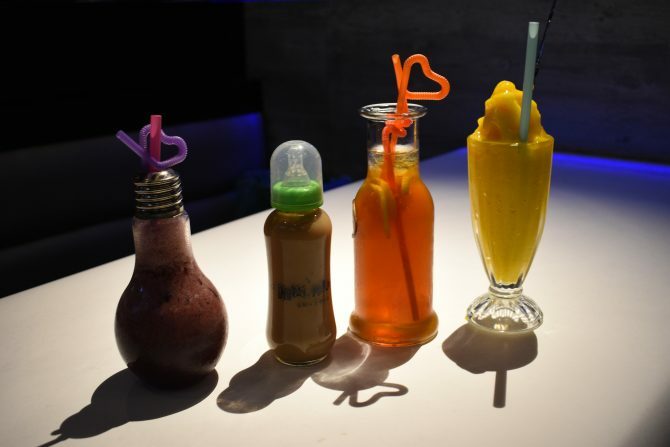 Drinks here are presented in quirky containers, with fruit juices in light bulbs and milk teas in milk bottles that make for an Instagram-worthy snapshot. We’d recommend the Ice Lemon Tea ($3.80) that provides a refreshing accompaniment to the flavourful Seafood Platter. Don’t Miss Out On Pince & Pints’ All New Crab Menu! 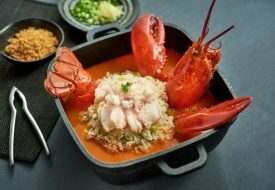 Jumbo Seafood’s Newest Outlet Opens At ION Orchard.